Geocaching is an outdoor treasure hunt that combines hiking and high-tech. Explorers use sophisticated—but easy to use—global positioning system (GPS) devices to search for hidden treasure caches. 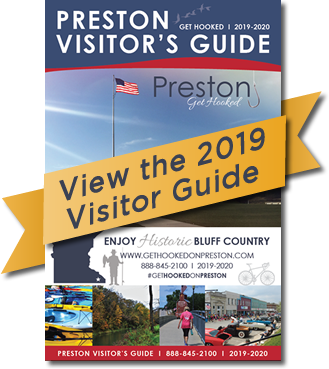 Enjoy your Geocaching adventures in Preston! Visit www.geocaching.com to locate a cache near Preston, Minnestoa. Get the cache coordinates. Log onto a website to get a list of waypoints or coordinates that pinpoint where caches are hidden. These coordinates can be entered on a handheld GPS unit. You can find the coordinates for the Minnesota State Park Avian Adventure here. Locate the cache. 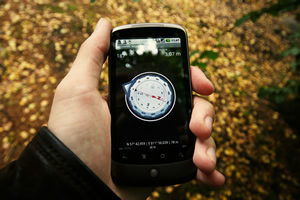 Use a GPS unit to see your location in relation to the hidden cache, and follow the signal toward the cache. Take or leave treasure. A cache is usually inside a waterproof container of some sort, like a water bottle or an ammo can. There may be a logbook inside for you to sign, and often there are little trinkets left by previous players. (No food, please—food is not allowed inside geocache containers!) Geocachers remove the loot and replace it with other cool stuff for future geocachers to find. Leave something in the cache yourself if you’d like. Share the fun. Visit geocaching.com to log your finds and share messages about your geocaching experiences. Source: Minnesota Department of Natural Resources.